Today, the aNEW designs blog was featured on the Designers Who Blog site. Many thanks to Catherine (Cat) Morley for the feature and the write up. 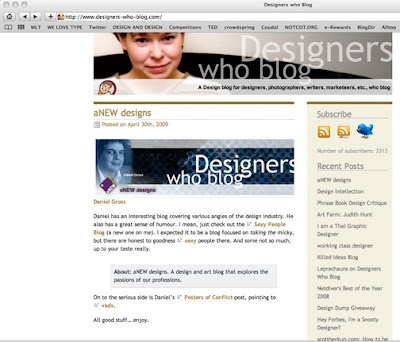 The Designers Who Blog site is a great resource to others in the design community and well worth the investigation. 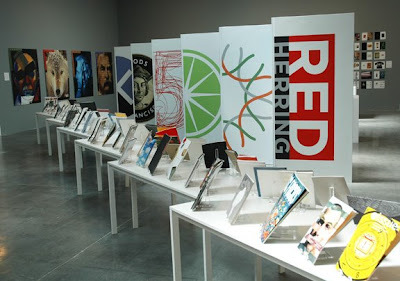 The National Design Awards for 2009, the 10th year of this program, by the Cooper-Hewitt - National Design Museum have been announced today. The awards are broken down into several categories including architecture design, communication design, interior design and product design. Honorees this year include The New York Times Graphic Department, Hoefler & Frere-Jones, Boym Partners, Smart Design, and Michael Maltzan. To read about all the winners, go to the National Design Awards site. The work of Michael Schwab is bold, unmistakable and unforgettable. Schwab has designed for Amtrak, AT&T, Nike, Coke and numerous others. 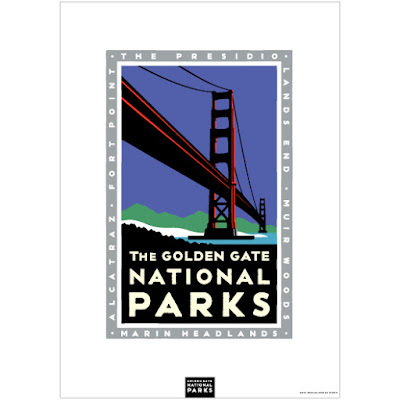 One of his most famous and seen series of work is that done for Golden Gate National Park. 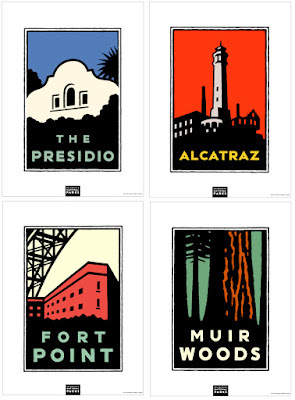 The images are iconic of the various site found in and around San Francisco. 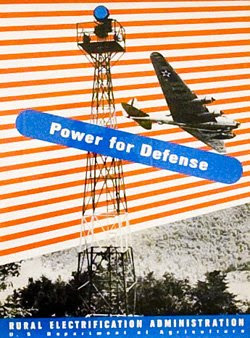 His designs and illustrations take us back to an earlier time, an era of graphics inspired by the WPA and the bauhaus. Schwabs work is a delight to view and once you see it your realize you have seen it everywhere. See more and learn more at Michael Schwab's website. 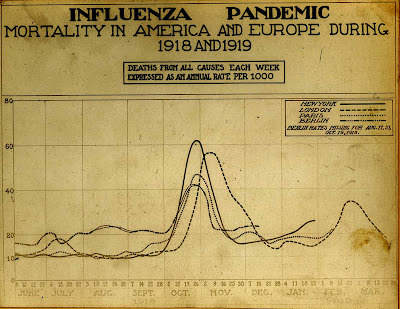 Lester Beall was a graphic artist that came to notice in the 1920s and 1930s. 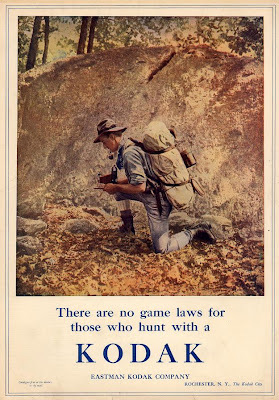 Lester worked on posters for the New Deal and the Rural Electrification Administration (imagine a time where half the country had no electric power). 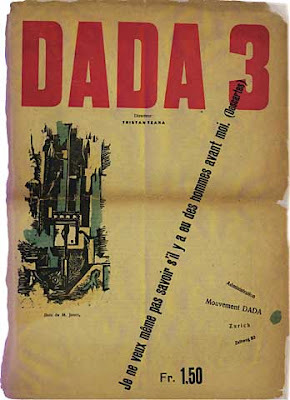 His style was influenced by avant-garde and dada design movements in Europe. 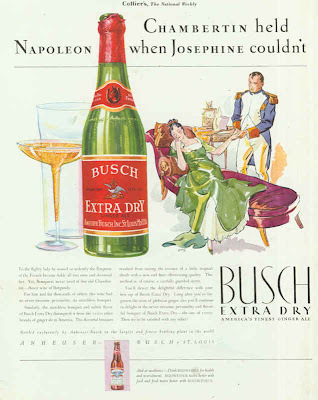 He is famous for layering images and text to photomontage effects. 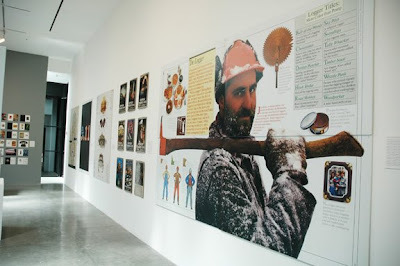 The Los Angeles County Museum of Art - LAMCA has an exhibit of his work until May 31st. 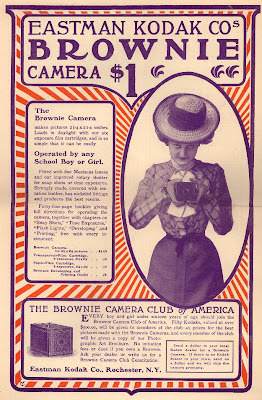 For further information, go to the LACMA site. Watch this video of police in Denmark giving out hugs and bike helmets. Now we need designers to decorate the black helmets. Called "pompous, pretentious, phony intellectual—a fraud"...read all about the man behind the new pepsi logo and new tropicana redesign at this Newsweek article. It is a very interesting and informative story. 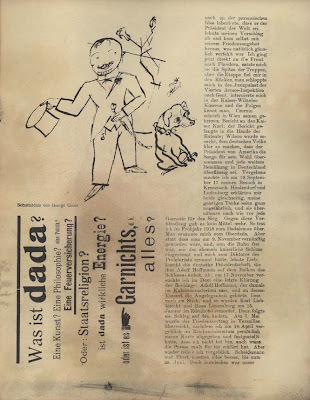 The Dada Movement began in Zurich, Switzerland around 1914 through 1922. 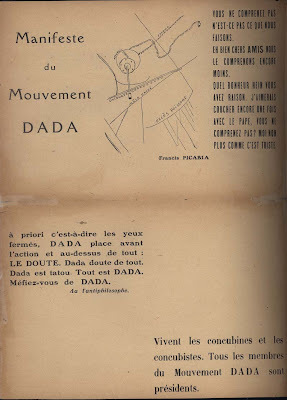 Dada was formed on an anti-war movement from WWI. 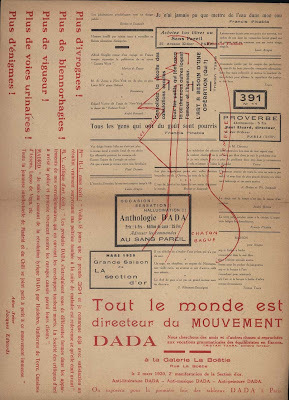 The basis of abstract art evolved out of this movement. 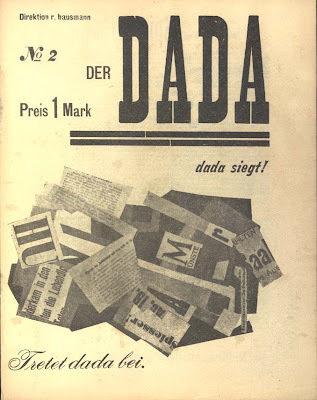 The origin of the word Dada is unknown, but historians feel that Tristan Tzara used the words da da (translation yeah yeah) in a sarcastic way often, others believe it is just a nonsense word. 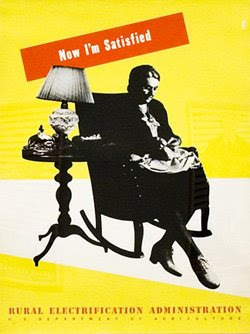 Graphic design was evolving in posters, bookcovers and layouts. 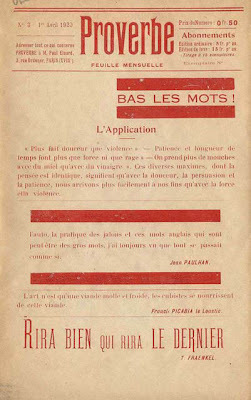 You can see the energy and passion of those involved in the movement in these examples. 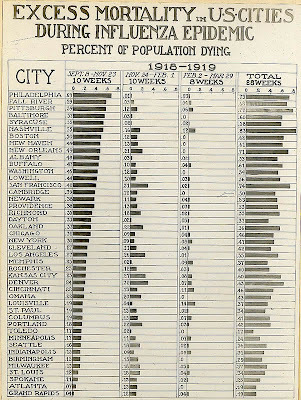 Typography grew in new and different ways, it was giving its wings to fly during this time. 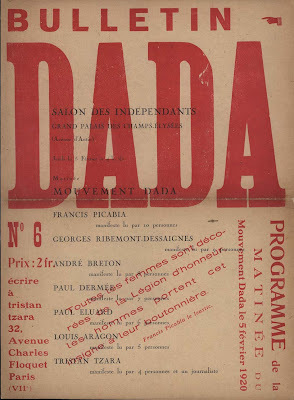 Explore and view additional images on the Dada movement atThe International Dada Archive - at the University of Iowa. 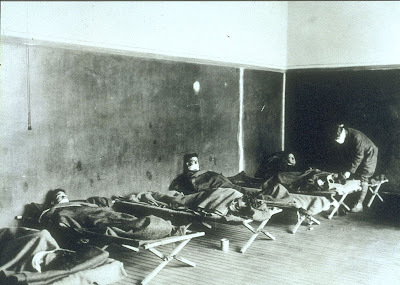 Since the news is going full out on the swine flu, I want to go back to 1918 when the world suffered another influenza epidemic. 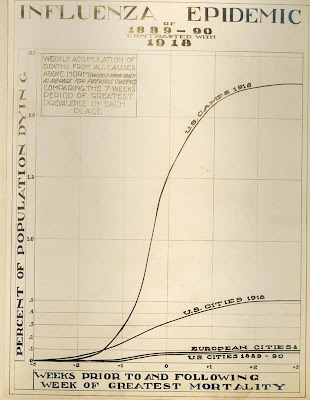 These are some images and charts from the collection at the National Musuem of Health and Medicine. I just visited a great retrospective of the work of Kit Hinrichs at Art Center in Pasadena. 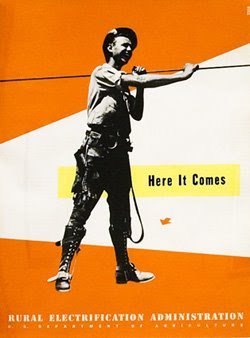 Kit Hinrichs is a partner in the San Francisco office of Pentagram and a grad of Art Center ('63 Advertising). 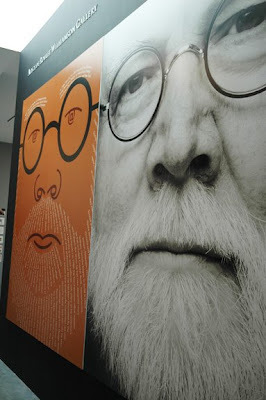 The exhibit shows a wide range of Kit's work that covers his magazine designs, book designs, package design and poster designs. Kit is known for his wonderful use of type and bold use of the grid in his work. The examples are well presented and show the variety of his work. A great part of the exhibit is being able to thumb through many of the books, catalogs, and paper sample books he has designed over his 40 years of design. Last year I was able to view part of Kit's famous collection on American flags in San Francisco. 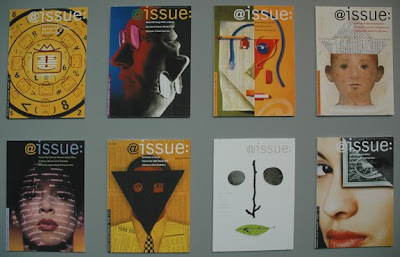 This retrospective shows his qualities that make him a leader in graphic design. The show continues until May 3rd at the Williamson Gallery. If you are in the Pasadena area over the next week, swing by and check it out. You will enjoy. 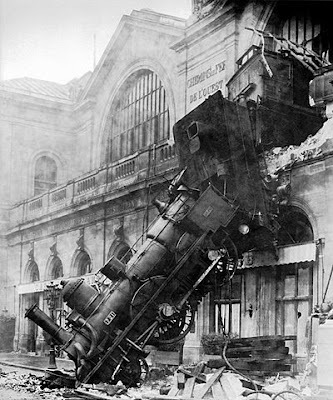 If you had a train wreck of a week, I hope your weekend is wonderful. 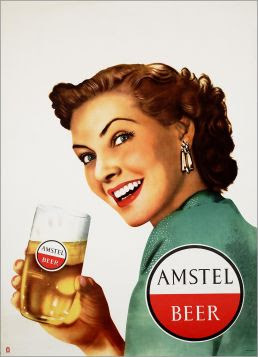 If you happen to have had a good week, I hope you too have a weekend that is wonderful. Enjoy! 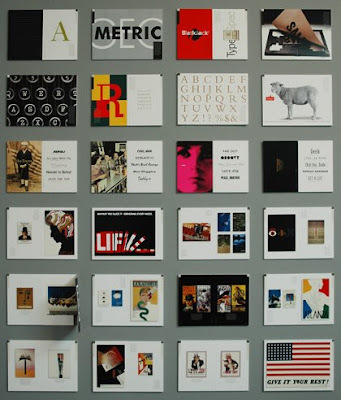 This is a vintage film of Saul Bass talking and showing many of his film title sequences. The film is around 35 minutes long and worth the break during your lunch time. 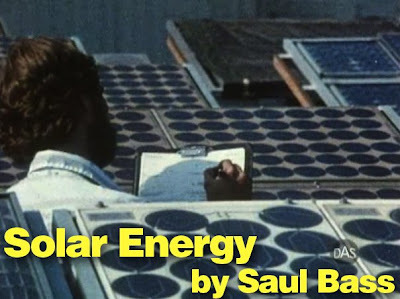 Found this link from Swiss Legacy to a film by Saul Bass on Solar Energy on the DAS FilmFest site. The film was made in 1980, produced by Robert Redford, and talks how the future is in solar energy. It is amazing how the technology has advanced so little in 30 years. On a side note, I just finished showing An Inconvenient Truth by Al Gore to my class in our discussion of sustainable package design. My how it all seems to tie together. Watch both of this films, knowledge creates change. An auction was held this past week in NYC for a stamp collection of Abraham Lincoln stamps that brought in nearly $2 million. The collection was amassed with standard stamps, Lincoln tax stamps, private issues, postal ephemera, and proofs and test printings of designs and colors that were not adopted. 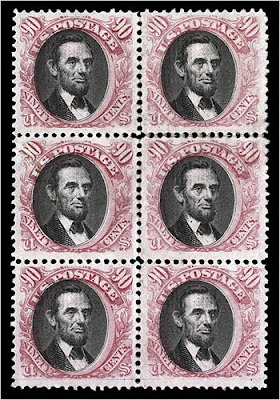 The above stamps are a mint-condition block of six 90-cent stamp issued in 1869. These mint stamps are said to be the largest such block of these rarities to survive, selling for $149,600. Read all about it at the New York Times. 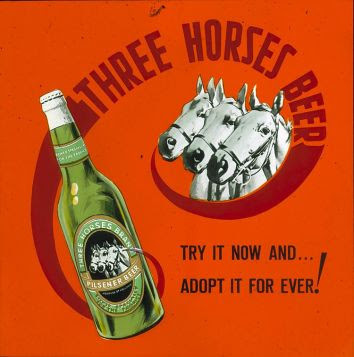 Its "a veritable cornucopia of all things type, typography, lettering and signage". At least that is how the new site launched by ILoveTypography's John D Boardley and Kari Pätilä describes its self. We Love Typography is full of images for your inspiration and to fill your passions for all things type. WLT is great addition to the world of typography and graphic design. 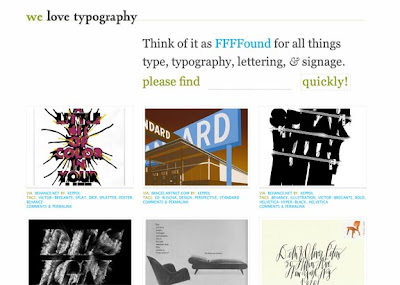 Bookmark We Love Typography and go back often to help keep your creative juices flowing. 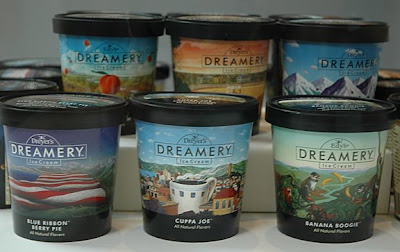 Who is your graphic design hero? 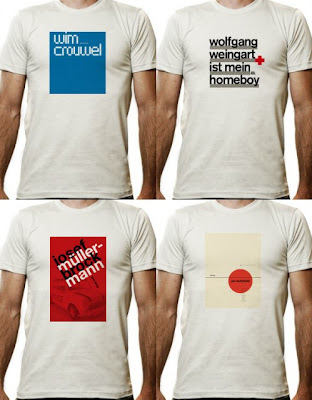 Check out this collection of t-shirts designed for some of our design heros. 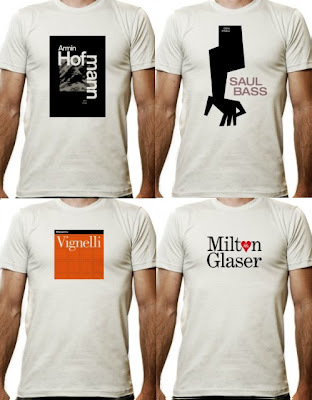 I think I need the Milton Glaser shirt. To see all the versions that are available in both men and women styles go to this link for skreened.com. 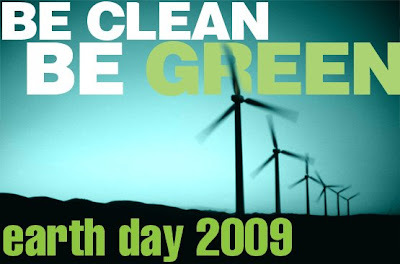 Today is Earth Day and we are to put words into action to help make our world better. I hope you can do your small part. For additional information and ways to get involved go to earthday.net. Today, also remember to look around and appreciate the beauty of the Mother Earth. The world is a amazing, enjoy it, today and everyday. Divided into three sections; “paper”, “print” and “more info”, the sustainable graphic design widget delivers basic information about the environmental impacts that design methods and techniques have. 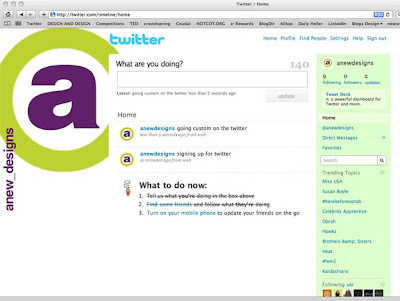 Designed primarily as an easily-accessed working tool for designers, the widget also has some ethical tips and links to other websites with more information. Want to learn more about how you can take sustainable design to your clients? 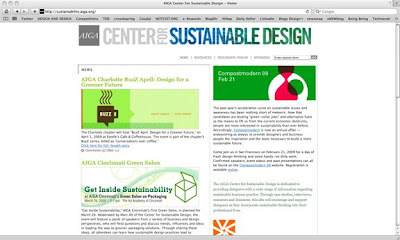 Visit the AIGA site for the Center for Sustainable Design. 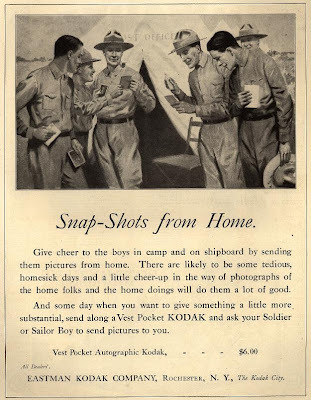 The site is loaded with information and links. For a 20+ page pdf about sustainable printing, check out this link from the AIGA site. 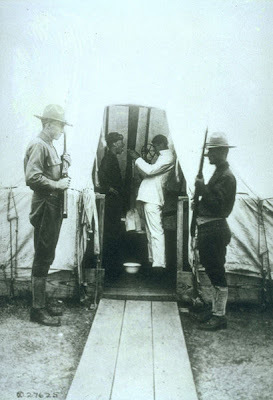 This site is well worth the time to investigate and learn more. Make sure you review the resources section. Sustainable design is here to stay not just a passing fad this time. We can all make a small difference in how we do our craft. These small differences will accumulate into big differences. Spread the word to your clients and they may find out that they can help save the earth and maybe a few greenbacks along the way. 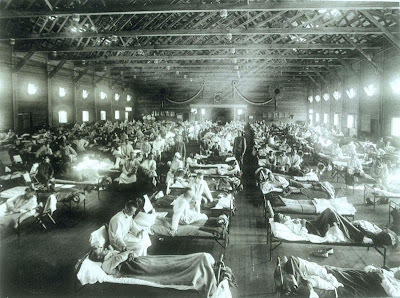 Today it is pushing 100 degrees in Los Angeles. 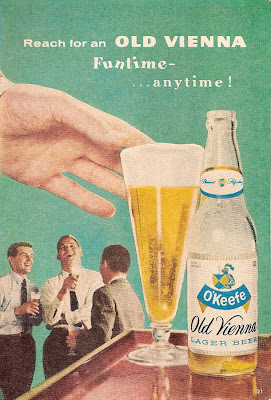 To help you cool down, check out these vintage ads for beers at this link. Stay cool. 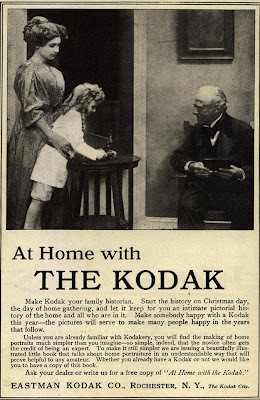 Browse this great collection of old Kodak ads from Duke University Libraries.